Much like Jon Stewart during his tenure as host of The Daily Show, it's somewhat unfortunate that comedians - not politicians - continue to be the voice of reason and logic over Brexit. 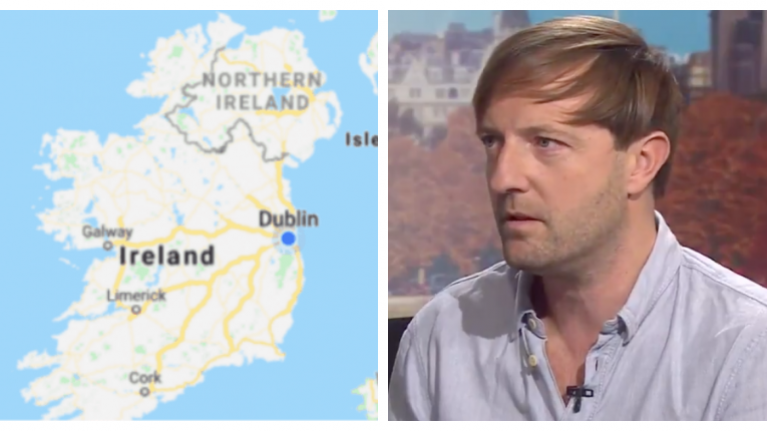 Of course, Andrew Maxwell has previous when it comes to Anglo-Irish relations because during his recent appearance on BBC's satirical news show, The News Quiz, he dropped an absolutely iconic line regarding Brexit and the border. Guest host Fred MacAulay chaired the discussion and he asked Maxwell if there is a solution to the uncertainty regarding the Irish border. "Number one, it's not the Irish border, it's the British border in Ireland. The Irish border is the beach," said Maxwell. Well, the comedian has returned to the political realm because he was a panelist on BBC's show Politics Live and he was asked to give the Irish view on Brexit. "Well, in Ireland, in the Republic, it’s just consternation, confusion. Generally, most Irish people get all British TV and all British media. We know way more about Britain than they know about Ireland. It's like a valve that flows in one direction. People can be having their dinner right now watching this in Ireland, but nobody in Britain knows Ireland," he said. When asked if the UK doesn't understand or 'get' Ireland, Maxwell replied by saying: "Of course. Totally. That impulse goes for every other country in the world. I mean, the idea that Britain is going to get a better trade deal out of Hindu nationalist-led India, then it does out of the EU is ridiculous. The idea that the UK will get a better trade deal out of the Communist People's Republic of China is ridiculous. Their whole raison d'être is hatred of the British Empire because of the Opium Wars. It's lunacy but most people in Britain don't know that." With regards to O’Neill's comments, he begins the segment by discussing his belief that there's a staunch anti-EU sentiment in Ireland. FYI, a recent Red C survey showed that just one in nine voters feel that Ireland should quit the EU. This figure is down from nearly three times that level five years ago. Anyway, O'Neill said: “I don’t like this idea that the Irish are super fans of the EU… every time the Irish have been asked to vote on the expansion of the EU, they said: No thanks." He then cited the examples of the Nice and Lisbon treaties to enhance this point. When asked by Maxwell if he has any Irish family that are currently living in Ireland, O'Neill said "my parents come from peasant stock in the west of Ireland." At that point, Maxwell couldn't help but let out a slightly exasperated laugh.